As you observe the history of gaming you will always notice certain genres being prevalent in certain settings and eras. Platformers reigned supreme in the NES/SNES era. Military shooters take the centre stage on systems like Xbox. JRPG’s have started to make the shift to the Switch, but it is fair to say they certainly had a market on the VITA. Then of course the Metroidvania genre has always swamped the indie game market. With such a grand amount of competition, it becomes difficult for games to stand out. With Feudal Alloy being the latest Metroidvania to hit the eShop, does it offer enough to stand out from the crowd? The title of the game itself should give players a good idea of the setting the game takes place in. The player takes control of a robot with a fish tank for a head, but rather than traversing a futuristic world of skyscrapers and the such, you find yourself in a medieval setting. The contrast is an interesting one. Whilst the actual design choice isn’t that impactful, I must say that the visuals on offer are very nice. Feudal Alloy is certainly a pleasing game to look at and the soundtrack certainly fits its feudal setting. One could close their eyes and see themselves at a renaissance fair. Overall I can’t fault any part of the games presentation. The premise in Feudal Alloy is just like any other Metroidvania. You have a world to explore, but as you progress you will soon find yourself in need of new equipment and items to progress further. Typically the next key or powerup will be locked behind a room where you must clear out a number of enemies or even a boss to progress. Here’s where things do break down though. Combat in Feudal Alloy is nothing special and if anything a bit frustrating. For the most part all combat is up close and personal with a sword. Enemies on the ground are typically easy enough to dispatch, but right from the beginning the world is populated with robo wasps and these foes are frustrating. The hit stun on them isn’t impactful enough and they soon become a real chore to defeat. In contrast with some poor design choices with standard enemies the bosses do go in the opposite direction and offer a nice challenge and feel well designed. Sadly there just aren’t that many in the game. 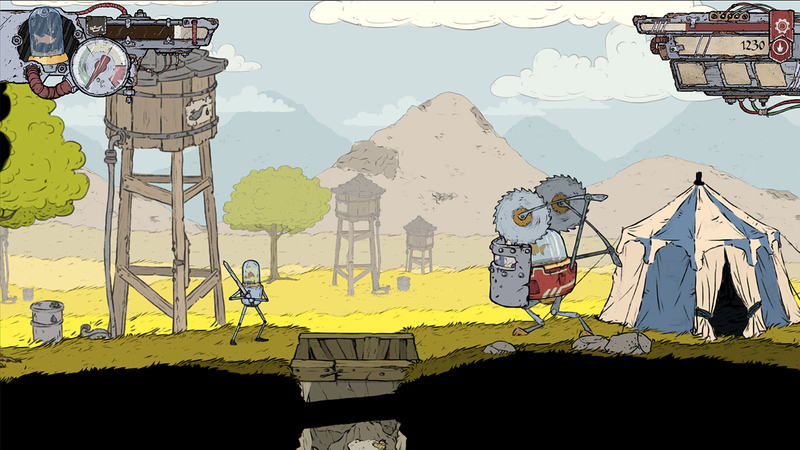 Exploration is another mixed bag in Feudal Alloy. The game certainly avoids ever feeling linear and always leaves room for exploration. There’s a nice amount of hidden locations to find where you can net yourself more cash to spend or items to equip. On top of that there are platforming segments that work well as you traverse wooden platforms and avoid the perilous spikes below. However, what throws these nice segments out of balance is how easily you can get lost as to where to go next. Simply put the world of Feudal Alloy is a big one which is nice, but a poor map combined with a big world and backtracking can become incredibly tedious and frustrating. As I progressed further into the game and unlocked more powerups and microchips it just became less and less clear where I had to go. The ability to mark the map would’ve made a massive difference in my enjoyment as at times I found myself scrambling around for my next goal for far too long. 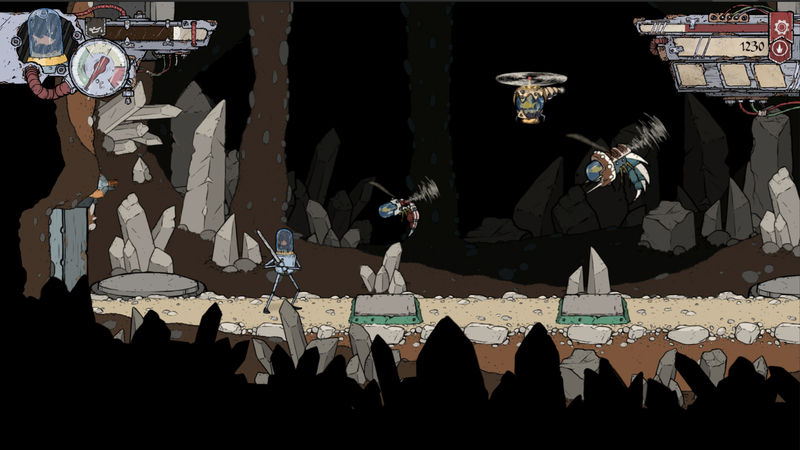 Feudal Alloy doesn’t just stop at being a Metroidvania, it also implements some light RPG mechanics. I suppose you could dub it a Metroidvania-fantasy. There’s weapons and armour to equip which have unique stats as well as a skill tree to unlock as you level up. These mechanics don’t take anything away from the experience, but they certainly don’t add anything either. A lot of games have started to follow this trend, but ultimately I don’t see why they bother. The game assaults the player with a massive amount of armour and weapons. If the number you came across wasn’t so high, it might make changing equipment feel more impactful. Then there’s the skill tree which does offer some interesting buffs for the player, but leveling up is such a painfully slow process I found myself forgetting you could in between levels. 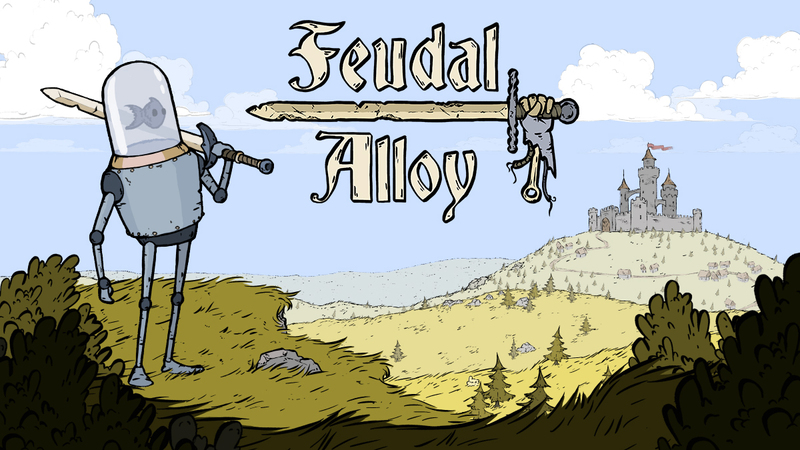 Disclaimer: A review code for Feudal Alloy was provided by Attu Games. Feudal Alloy is not a bad game. It isn't a good one either though. The framework of something good is here, but it is constantly thrown off balance by frustrating design choices. Nothing it does wrong is so offensive that I found myself wanting to stop playing, but what it did right didn't draw me back to it after I had switched off. It is a game stuck in limbo. With such a wealth of Metroidvania titles on the eShop I can't see it standing out or to be chosen over other titles in the genre. This topic contains 0 replies, has 1 voice, and was last updated by Jack 2 months, 3 weeks ago.